Last week I wrote the inaugural post for the Protect What’s Right blog. It shed light on the lie that the Humane Society of the United States (HSUS) spreads each and every day to the public, media and elected officials that they are not really against all hunting…just the really bad kinds of hunting. We exposed the lie by examining the organization’s actions in recent years. And then followed up by reading the words that have been written and uttered by the leaders of HSUS regarding hunting. It’s a fact. They oppose all hunting. “As a matter of principle, The HSUS opposes the hunting of any living creature for fun, trophy, or sport because of the animal trauma, suffering, and death that result.” The Humane Society of the United States “Statement on Wild Animals, March 2012. Perhaps I got it wrong about HSUS. If you read this statement closely, you will discover a loophole. It appears that they just might not be opposed to hunting…as long as you do not have any fun while doing it. Man, am I ever in trouble! This past spring, after all of these years of hunting I actually called in and killed my first wild turkey. He was a fairly young bird. But I was so proud and thrilled. I could barely wait for the 2012 season to come around so I could get out there again. About two weeks ago I shot my first long beard. I have to confess I’m not the grim hunter. I was grinning so hard I think I pulled a jaw muscle! 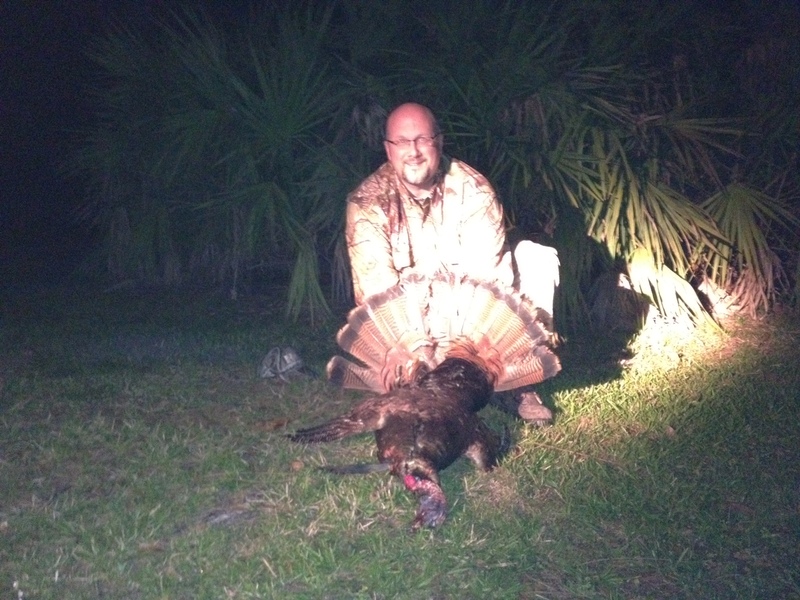 Although I managed to suppress a war whoop as a courtesy to nearby hunters, if a surveillance drone had happened by my locale around 5:45 PM on opening day there’s a fair chance it would have resulted in some You Tube footage of a fairly portly fellow doing a jig around gobbler in a Central Florida field. Yeah. I had fun. I’ve had fun on most every hunt I’ve ever been on, whether successful or not. 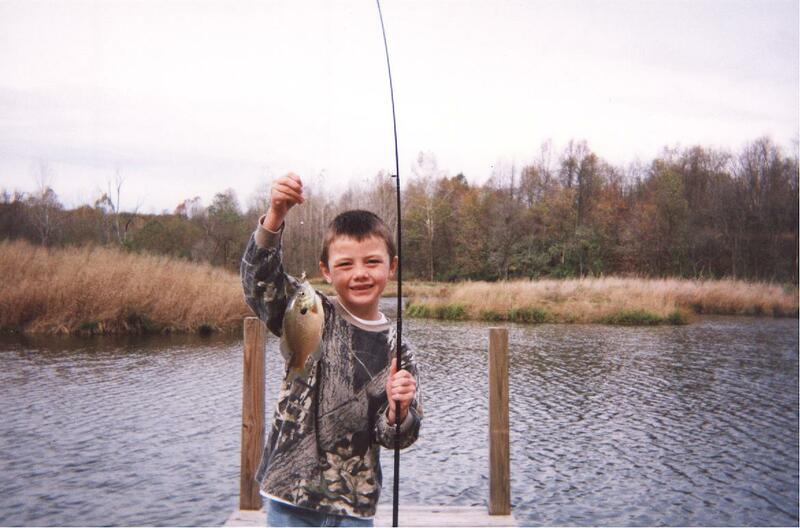 And the trophies I have from some of those hunts bring back great memories. And they’ve all been pulse pounding challenges for me that have indeed been sporting. I don’t want you to misunderstand. We eat what we kill. But that’s not why I do it. I can afford to buy food at the supermarket or in a restaurant. I don’t do it to help control crop damage, or prevent deer-car collisions either, although those are indeed a benefit to society. I do it because it is fun. We’re allowed to have fun while hunting regardless of what the anti-hunting lobby continually feeds the media. Hunting is not a solemn experience. It is a joy. As a community, we have let the anti-hunting lobby separate hunting into different categories that don’t really exist in the turkey woods or in the tree stand. We hunt and fish for fun, for sport, for trophies, for food, for fellowship with family and friends, and for the strange but genuinely primal connection we feel with nature and our ancestors when we bring something home to eat that we actually had a hand in putting on the table. We hunt for all those reasons. There isn’t a thing wrong with any of that. And we should not be afraid to say so. This is what Protect What’s Right is all about. This entry was posted in Uncategorized and tagged anti-hunters, anti-hunting, fun, hunting, hunting rights, protect what's right, sport hunting, trophy hunting. You sum up the situation perfectly. No hunter, trapper or fisherman should ever feel, or made to feel, ashamed about having fun while living the outdoor lifestyle. We usually eat our kills, but as you’ve said that is not the reason we hunt. We hunt for a sustenance for our soul that is fulfilled only in matching wits with wild animals on their home turf. They are called “game animals” for a very good reason. Its called the “sporting life” for a very good reason. We do not undertake the hunting and killing of animals with the light-heartedness that might be associated today with the words “game” and “sport,” rather we take it very seriously with respect for our quarry. But we do it for fun and the love of it and the animals. When I make a kill, I’ve accomplished something, and I’m damn happy about it. And when I don’t kill something, I’ll try again another day, but I had an enjoyable time nonetheless in the outdoors. Either way, you’ll see a smile on my face having fun doing what we all love to do. Just my point of view, while it is true and correct that HSUS and all its associated groups want to end hunting in all forms, it really doe not stop there. They want to do the same thing with fishing, pet ownership, farming/ranching any activity involving human exploitation of animals/fish/birds/reptiles or amphibians. The base reason for this has nothing to do with conervation of species, reducing the number of unwanted pets, or prope management of speies numbe to prevent habitat damage, it has to do with Control. It is one segment of the world population wanting to gain control of another segment simply because they want too. I have fun hunting, enjoy it immensely, nothing wrong with that. The biggest problem hunters/fishermen(persons) face lies in forming a united front, not to fight the anti’s, but to get the message across to all those folks in the middle, that may not hunt, but do not have anything against people that do. i have asked this in several discussions I have been in on lately, but how do we go about getting hunters to lay aside their differences and join together for a common cause? Over and over, on various internet forums/chatrooms/bulletin boards, there are continual divisive arguements among hunters that only give the forces against us more ammunition as it were. Personal observation here but I honetly feel that the battle is done lost and what hunting there will be here in America in the not real distant future will be similar to the systems in Europe/England and a few other places. only the wealthy or individuals in positions of power in the goverment will be able to hunt and the hunting will be done on Private Estates/properties. I wished I had a more optomistic attitude toward the situation but having seen the changes in hunting and the attitudes of both people in the sport and those of people out side the sport from when I first started hunting in the mid 1960’s, I do not see a promiaing future.